Private Classes — Durham Spirits Co. Looking for a unique way to celebrate a special event? Or perhaps you just need an excuse to get together with family and friends...look no further! Durham Spirits Company can put together a customize class to meet your needs! Looking for the perfect place to celebrate? From milestone birthday celebrations to anniversary parties to remember, we will create an event that will rise to your expectations. Note: Durham Spirits Co. can pull off spectacular surprises with phenomenal food! A fresh alternative to the bar scene! Celebrate in high style sipping wine and enjoying fabulous food while being entertained. If you wish, we can do all of the work while you sit back and visit with your friends. You don't even have to fly to Vegas! Move out of the living room and into our cozy, yet state-of-the-art kitchens where you can cook, celebrate, and shop for registry items from our gourmet retail store. Get out of the banquet hall while creating an environment where families can really get to know each other with a fun and interactive culinary adventure. Families that cook together stay together. 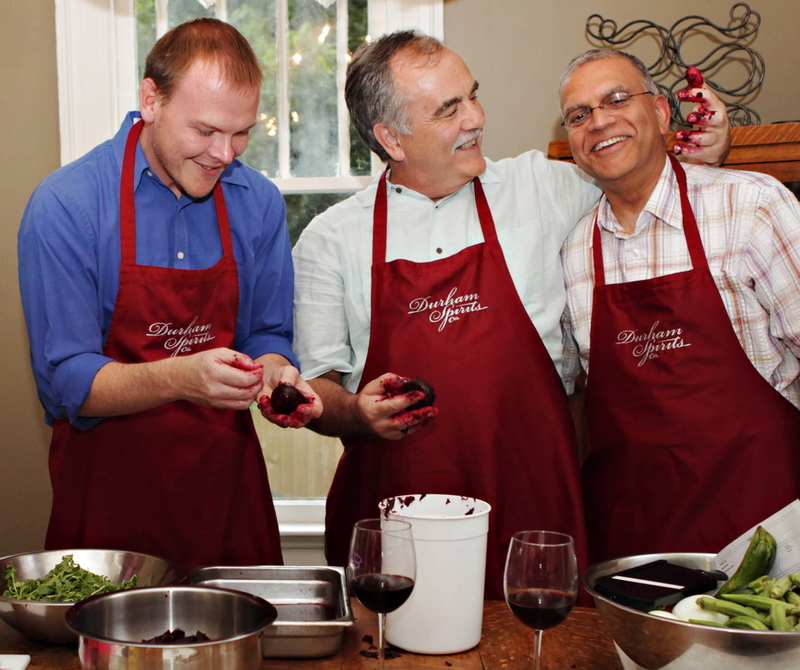 Reminisce the old days with friends and family while whipping up new memories. 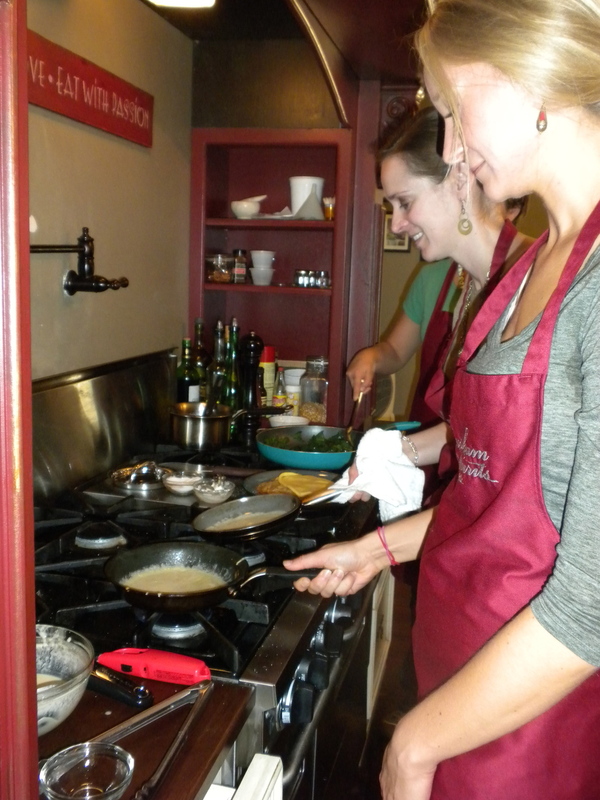 Get the guys together for our popular knife skills event, or have a girls’ night out to experiment with new recipes, while sipping wine and enjoying your own private kitchen, with no clean up! Contact Katie for details or to set up a private event!